360 Degree Video and a virtual reality headset – take the online RV walk-through to a whole new level. 73% of consumers say they are more likely to purchase a product if they watch a video that explains the product. 96% of consumers say that videos are useful when making online buying decisions. 71% of consumers say videos provide a positive impression of the company. 58% of consumers say companies that provide video content are more trustworthy. Consumers who watch videos stay on the site twice as long and visit twice as many pages. 70% of the top 100 search results listings include video. Video marketing has become a crucial conversion tool for online marketers and the latest technology in video marketing — 360-degree video — is a game-changer for RV dealers looking for a way to put consumers ‘inside’ their inventory. Could giving your prospective customers a fully immersive online experience be a key to boosting sales? 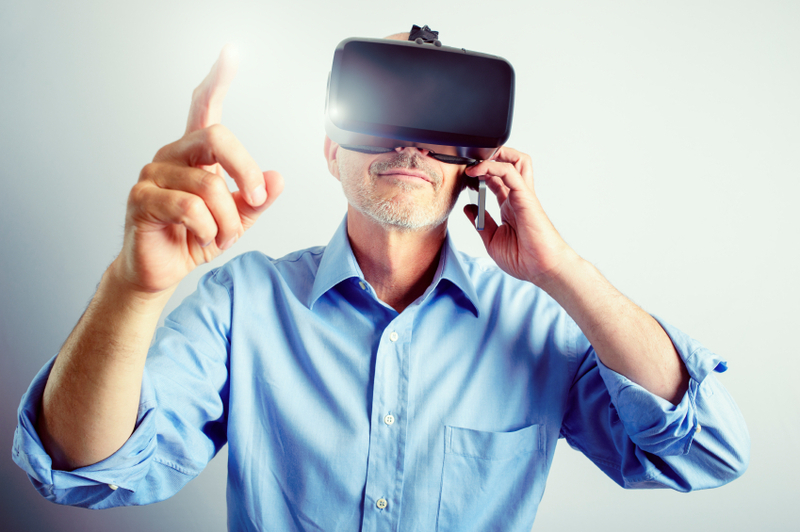 Unlike traditional video, 360-degree video gives consumers control over what they see. The consumer controls the recorded camera angle using their mouse or fingertip on mobile devices, allowing them to tailor their own viewing experience while showing off your inventory to its best advantage. A prospective customer may view any angle or view of the RV that has been recorded with the 360 camera. Essentially, they can look wherever they want as they ‘walk through’ the unit. *note: use your mouse or trackpad to ‘look around’. This 360 º video will not work in Safari browsers. A prospective buyer could even utilize a VR (virtual reality) headset such as Google Cardboard for an even more immersive, virtual reality experience to view your inventory. With the VR headset on, a prospect is put virtually inside (or outside) of your RV, with the ability to be totally immersed in the experience, able to ‘look around’ by simply moving his/her head to view any area or feature of the RV. Affordable cameras like the Ricoh Theta S Digital Camera or Kodak SP360 provide high quality 360-degree images with just the touch of a button, making it super easy for an RV dealer to shoot and upload 360-degree videos to YouTube, to then feature on their own websites and any listings on RVT.com. 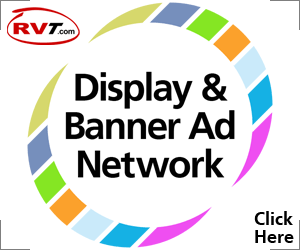 Every RVT Dealer listing is ready to receive 360 degree videos through our partnership with YouTube. For existing customers, simply load a 360 video into your YouTube account, then include the video’s YouTube link when you add or edit a listing. 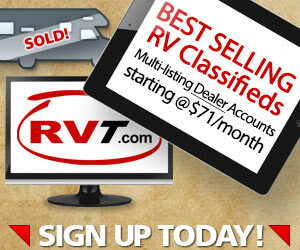 Not yet taking advantage of RVT’s powerful multi-listing Dealer service? Sign up today – 30 days free. For a great example of a 360-degree video experience, throw on your Google cardboard, and check out this Blue Angels video. 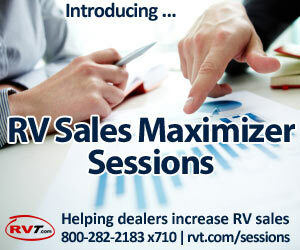 Then imagine giving RV shoppers the same type of thrilling experience as they tour your RV inventory ?. 360 Video to the next level.